Our goal is to connect people with the best local experts. 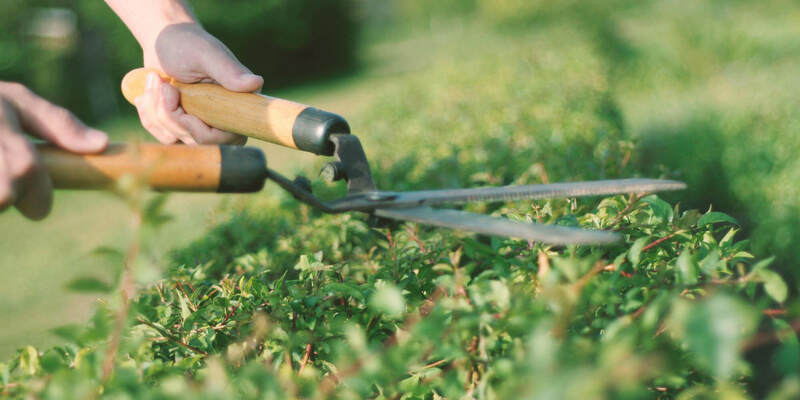 We scored landscapers on more than 25 variables across five categories, and analysed the results to give you a hand-picked list of the best landscapers in Columbus, OH. For more than 45 years, Buck & Sons Landscape Service in Hilliard, Ohio has specialized in residential and commercial landscape design and installation. Services include lighting design, water features, and landscape maintenance. Buck & Sons also specializes in green roof features and has been honored with over 35 awards in the last ten years from local, state, and national associations. Central Liberty Landscaping provide landscaping design and installation for residential and commercial properties in Hilliard, Ohio. Maintenance services include lawn mowing, site cleans ups, tree trimming and edging, seasonal flower bed installation, fall cleanup, and snow removal. Located in Lewis Center, Down to Earth Landscaping Service serves Lewis Center, Powell, Worthington, and Westerville. The company offers landscaping design, year-round maintenance, and installation services for residential and commercial properties. Down to Earth has been in business since 2007. Environmental Management of Plain City, Ohio offers landscaping design, year-round maintenance, and installation services for residential and commercial properties. Additional services include grounds maintenance, irrigation system service, and snow removal. Founded in 1992, the company serves the Greater Columbus area. Envisions Landscape Construction Design & Snowplowing has three Columbus, Ohio-area locations. They offer free in-home computer design and on-the-spot estimates. In addition to landscape services and snowplowing, Envisions builds aquascapes, fire pits, and stonescapes. The company serves Mansfield, Ontario, Galion, Lexington, Mt. Gilead, Delaware, Columbus, Dublin, Wooster, Central Ohio, North Central Ohio and all surrounding communities. First Impressions Lawn & Landscape Co. in Sunbury, Ohio specializes in residential and commercial design, installation, and year-round maintenance. Services include irrigation troubleshooting and repairs, tree trimming and removal, flower plantings, weed removal, landscaping upgrades, and snow and ice removal. They are a Better Business Bureau accredited company with an A+ rating. Friebel's Quality Landscaping of Powell, Ohio is a national award-winning landscaping business. They offer professional landscape design and installation, paver patios, retaining walls, fire pits, seating areas, and exterior lighting for commercial and residential properties. Gardens by Monette specializes in creating indoor and outdoor living scapes with seasonal accents and decor for the greater Columbus area. Design services include landscape lighting, container gardening for large and small spaces, and irrigation. The company has been featured on Houzz and is a BBB Accredited Business. Hickory Lane Farms Nursery & Landscape is a wholesale nursery offering landscaping to the Marysville, Ohio area. They provide landscaping design and installation services for residential and commercial properties. Services include routine maintenance, tree trimming and removal, flower plantings, weed removal, and landscaping upgrades. Kaser Property Services offers landscaping, lawn mowing, tree trimming and snow and ice removal services in Columbus, Delaware, Lewis Center, Dublin, Powell, and Shawnee Hills. The company offers free estimates. They are a Better Business Bureau accredited company with an A+ rating. Larry Dore & Associates has over 25 years of experience as a landscaping company. The company offers landscaping design and installation for residential and commercial properties. Services also include general lawn maintenance and snow and ice removal. The company offers free estimates and emergency services. Lawn Doctor of Hilliard provides professional lawn care and mosquito control. They specialize in lawn treatment and fertilization, weed control, lawn pest control, tree and shrub care, lawn aeration, and organic lawn care. This local franchise serves Columbus, Dublin, Galloway, Grove City, Hilliard, Powell, and Worthington. The company offers free onsite lawn evaluations. Founded in 2008, Lorenz Lawn & Landscape provides professional lawn and landscaping services to over 800 clients in Westerville, New Albany, Lewis Center and surrounding areas. Services include expert landscape design and installation, snow clearing, and general lawn maintenance for residential and commercial properties. Luxury Landscapes is located in Dublin, Ohio and serves residential and commercial clients in the surrounding communities. They offer professional design and installation of landscapes and outdoor living spaces. Services also include exterior lighting design, lawn fertilizing, weed control, pest control services, general lawn care, and snow removal. Your Neighborly Lawn Care provides residential and commercial landscaping and lawn care services in the communities of Dublin, Columbus, Hilliard, Powell, Bexley, and Gahanna. Common projects include weeding, mulching, landscaping, aeration, and organic fertilization. The company offers free lawn care and landscaping maintenance estimates. Spellacy's Turf-Lawn specializes in landscaping services and designing outdoor living spaces. Spellacy’s Turf-Lawn has proudly been in business for more than 30 years creating barbecues, outdoor kitchens, water features, and seating attractions. Other services include estate care, lawn mowing, fertilization, and snow and ice removal. The company serves residential and commercial clients in the Galena area. SYNlawn of Ohio provides full-service sales, landscape design, and professional installations. They offer synthetic turf solutions for residential or commercial landscaping needs in Columbus, Cincinnati, Dayton, Lexington, Louisville. Other uses for artificial grass include playgrounds, practice golf greens, sports turf, rooftops, decks, patios and pet turf. The Green Landscaper provides full-service residential and commercial lawn care in the Columbus area. They offer a wide variety of services including mowing, fertilizing, leaf cleanup, snow removal, mulching, and gutter cleaning. They are a Better Business Bureau accredited company with an A+ rating. TM Garden and Landscape Design is a Columbus area landscaping company. TM Designers are well-trained, with certificates and degrees in landscape design from major institutions in the US and Europe. This Westerville, Ohio company specializes in exterior landscapes including outdoor kitchens, pergolas, decks, terrace, and stone walls, horticultural design, and garden layout. They serve all of central Ohio. The award-winning designers at Vance’s Lawn & Snow Care offer expert lawn care and landscaping services. They specialize in lawn installation, lighting, and hardscape installation, as well as maintenance like tree pruning, weed removal, and mowing. Vance’s Lawn & Snow Care serves the greater Columbus,Ohio area.